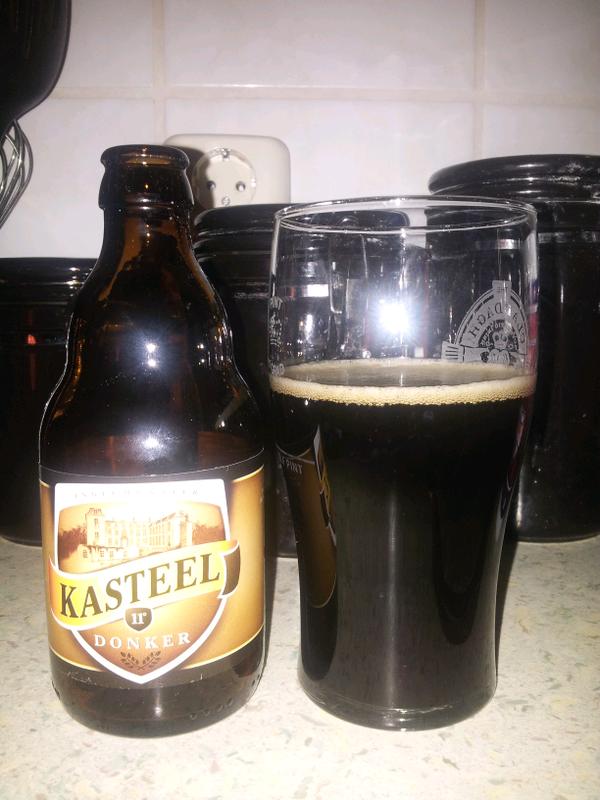 The Kasteel Donker is a sweet dark beer with a high alcohol content (~11%) from a family-run Belgian brewery (map). According to the breweries website, the brewery has been in the family for 5 generations. 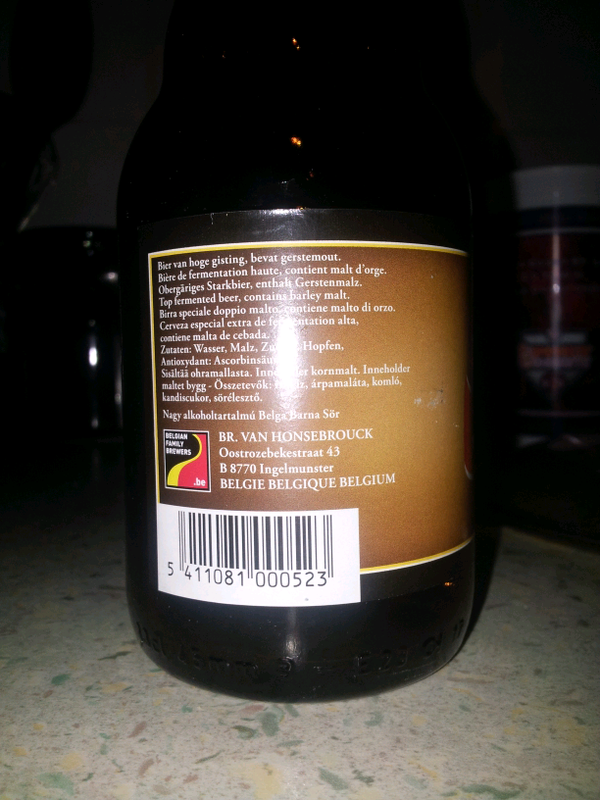 Despite the high alcohol content, the beer is very drinkable and "goes down smooth". It has a complex and rich set of flavors that the brewery claims is "chocolate, banana, liquorice and raisins." To me, however, it just tastes good.